The Brazilian Association of Investigative Journalism (Abraji) has also registered more than 60 physical attacks on reporters, which took place “in a political, partisan and electoral context”. Mr Bolsonaro is running on a tough-on-crime platform, but his critics say his language – and reputation – incite violence. The attacker, Paulo Sérgio Ferreira de Santana, told police his motivations were political. 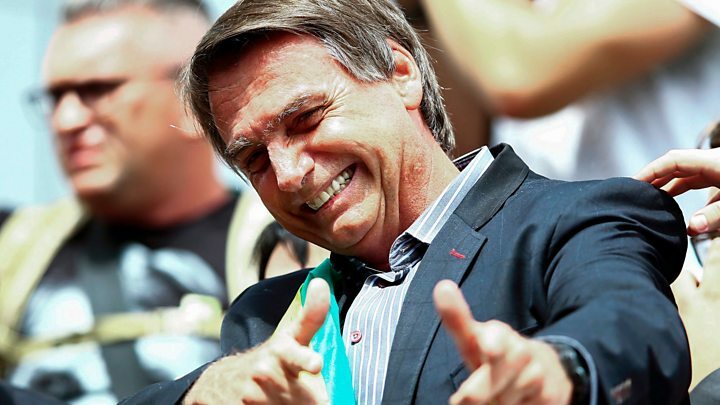 He was angry when Da Costa said he was supporting Mr Bolsonaro’s rival, and reportedly went home to pick up a knife, and then returned to the bar to stab the victim 12 times. 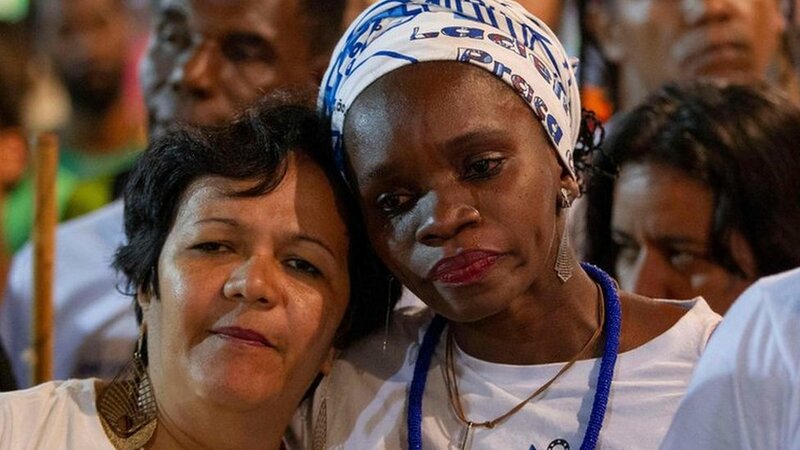 The woman – who has not been named – was carrying an LGBT flag and an anti-Bolsonaro sticker, according to Globo news. Trans singer Julyanna Barbosa was attacked last Saturday in Nova Iguaçu, Rio de Janeiro state. 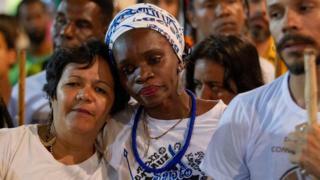 She said her assailants shouted about their support for Mr Bolsonaro, saying “these trash people have to die”. The Guardian reports that football fans have been chanting: “Bolsonaro will kill all queers“. Gay rights organisation Grupo Gay da Bahia said 2017 was the deadliest year for the country’s LGBT community, with 387 killings. The former army captain’s law-and-order rhetoric appeals to supporters, but his critics fear it will create more problems. He has said police should have been allowed to kill criminals more freely, with questions asked later. Those who kill “10, 15 or 20” should get a medal, he said in August. He also wants to relax gun laws for citizens. In the past, he has said more people should have been killed during the country’s dictatorship (1964-1985). Responding to recent political violence, Mr Haddad said: “We need to sit at the table with the people without guns at their waist”. Mr Bolonaro said he refused to turn into a “peace and love” character to win votes. Mr Haddad’s party, the Workers’ Party, is unpopular with many voters after a number of its politicians became embroiled in a corruption scandal. Rights group Conectas Derechos Humanos says candidates need to “ask their constituents to act in a peaceful and tolerant manner”.